Yesterday, at the grocery store, I bought a peach, for no other reason than because I wanted to. 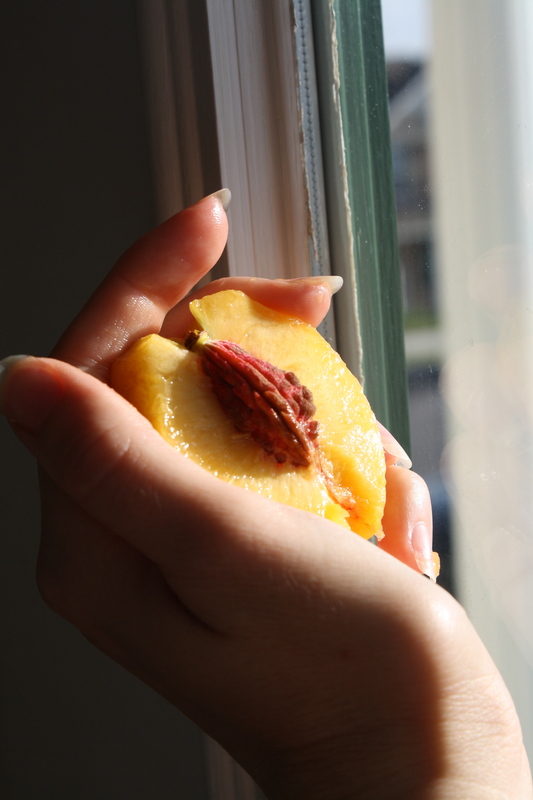 I took it home and stood at my kitchen counter — one hand resting against the cool of the quartz, the other cradling the peach’s velvet curve. I let the nectar run down to my elbow. To me, it was like the summer sun rested on my tongue. And I thought, then, of the days when my eating disorder taught me a different language. When food meant fear, and starvation felt like a form of power. When everything I put in my mouth seemed like a threat. I am Adam; I am Eve; I am naming everything all over again. I chew the peach slowly. This — I tell you — is power. Wow. Powerful prose here. You’ve taken me to so many places in such short amount of words, and I am better for the journey. What an awesome moment of reflection. Sometimes a sign is so very difficult to decipher, and that is when shrinking back into one’s shell feels so cosy and safe. Without a feeling of safety at one’s very core, even the front door can become an insurmountable obstacle. How to find safety to fill that empty core? Peaches and nectarines say summer to me, too. Lovely image and tender words. See previous comments about why your photography is so good. I maximize the photo on my screen and pour over the details, the composition, the elements. So good. And once again, the perfect words accompany. Such duel talents are rare. Make that “pore”, not “pour”. A beautiful, extensive metaphor for so many things particularly and life generally. Thank you for stopping by this place, Kurt, & for your encouraging words.